The publishers were founded in 1982, and so far have produced over 300 books. 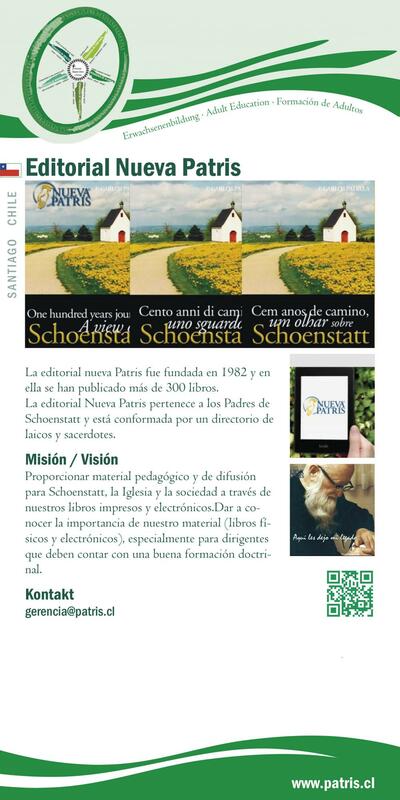 The New Patris Publishers are owned by the Schoenstatt Fathers and run by the laity and priests. Through printing books and providing e-books it makes pedagogical material available to Schoenstatt, the Church and society. To draw attention to the importance of what we offer (printed and ebooks), especially with a view to leaders, who need to have sound knowledge of spirituality and the teaching of the Church at their disposal.